Cebu City, Philippines – A total of six airlines from mainland China now fly direct to Cebu with the opening of Guangzhou and Shanghai routes by China Southern Airlines and Juneyao Airlines last month. 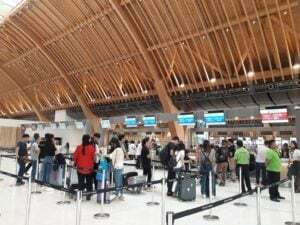 With the inclusion of Philippines AirAsia which services the Cebu to Shenzhen route, scheduled flights from the Mactan Cebu International Airport (MCIA) now connect to seven destinations in mainland China. Xiamen Airlines flies direct to Cebu from Xiamen and Fuzhou, while Sichuan Airlines flies to Chongqing. Lucky Air serves the Cebu-Kunming-Cebu route while China Eastern Airlines operates direct flights from Cebu to Shanghai. On January 22, China Southern Airlines started the Cebu-Guangzhou direct route signalling the opening of another gateway to business and tourism opportunities between China’s biggest southern City and Cebu. The airline is servicing the Cebu-Guangzhou route three times a week or every Tuesday, Thursday, and Saturday. Flights from Cebu leave at 5:15 p.m. and arrive in Guangzhou at 8:25 p.m. The Guangzhou to Cebu schedule leaves at 12:25 noon and arrives at 4:05 p.m. Meanwhile, Juneyao Airlines launched its Cebu-Shanghai route on January 24. The airline will fly to Shanghai’s Pudong Airport from MCIA every Tuesday, Thursday, and Saturday. A statement released by GMR-MEGAWIDE Cebu Airport Corp. (GMCAC), noted that Juneyao Airlines will utilize an Airbus A320 with a capacity of 158 passengers, with business and economy accommodations. GMCAC is the private company managing the terminal operations and other related areas of the MCIA. China Southern Airlines operates two hubs in mainland China: Beijing and Guangzhou. Juneyao Airlines is a privately-owned company and operates two hubs in Shanghai’s Pudong and Hongqiao airports. The airline previously operated charter flights between Cebu and Shanghai last November 2017. With regular flights in Shanghai and Guangzhou — and by connection, Beijing — Cebu now has direct links to the three major cities of China. Pang Feng, general manager of China Southern Airlines Manila office, said Cebu complements Guangzhou’s metropolis with its attractive destinations and natural charms. He said Cebu has a strategic location, thriving industries, rich culture and heritage, and beautiful beaches which are all essential for tourism and business to prosper. Consul Antonio Chiu, president of Cebu Chamber of Commerce and Industry, said the expansion of Chinese airlines in Cebu is a vivid display of investor confidence. “We all know of the huge multiplier effect of high tourism activities. (We will) exert more effort to help this industry thrive and draw more investments,” he said. An estimated number of 500,000 Chinese tourists visited Central Visayas in 2018, according to Consul General Jia Li of the People’s Republic of China in Cebu. “The good relations between our two countries is the key factor in the improved tourism market. The boost in tourism will greatly benefit the economy in Cebu and help our two countries better understand each other’s culture,” he said. With more direct flights between Cebu and seven Chinese destinations, more Chinese tourists are expected to visit Central Visayas in 2019, even surpassing the half a million Chinese tourist arrivals last year. The Consul said he looks forward to the opening of more new routes and direct flights to other cities in China. “With direct flights from Guangzhou to Cebu, we shall seize this opportunity to extend our cultural and people-to-people exchange,” he said.